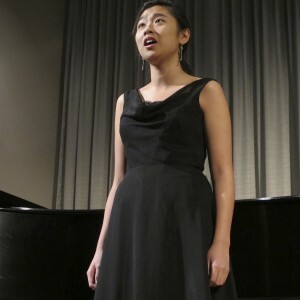 The University of Washington School of Music offers four diplomas in applied voice training including the Bachelor of Arts in Music, the Bachelor of Music in Voice, the Master of Music in Voice and the Doctor of Musical Arts in Voice. The Bachelor of Arts degree is intended for students whose primary desire is for a well-rounded liberal arts education in music. The Bachelor of Music degree in Voice is a comprehensive performance oriented degree program which includes course requirements in vocal pedagogy, foreign language diction, art song repertoire, and hands-on individual vocal coaching. Both degrees require ensemble and performance participation. The Master of Music in Voice is a two year degree program which is strong in both performance and academics, requiring two recitals, observed practice teaching in a pedagogical setting and a final research project. The Doctor of Musical Arts in Voice is a culminating degree concentrated in performance and research. The degree requires three recitals as well as a three-tiered written and oral general examination leading to the dissertation. Performance and ensemble participation are required for both graduate degrees. The Voice Program of the School of Music offers scholarship funds by audition (see calendar for audition dates) to graduates and undergraduates each year, including Teaching Assistantships for graduate students.